As mobile technology booms, employers and employees are learning how to take advantage of new mobile technology in the workplace (a trend known as BYOD). It comes as no surprise that there are several advantages that come with BYOD, but many businesses are still hesitant to fully adopt mobile technology and this stems from a lack of trust. This situation was brought to light in a July 2014 study by Ovum Ltd. and AdaptiveMobile. In this study, it was discovered that both employees and employers are concerned about mobile security. However, each group is concerned about BYOD for different reasons. For employees, there are two big reasons why they’re hesitant to use their personal devices for work purposes. First and foremost, many employees simply don’t trust their employers. More specifically, employees don’t trust their employers when it comes to their personal information. This is a result of employees feeling like their employers are unable to protect their privacy and keep their information safe. The study puts this figure as high as 84 percent for employees that are concerned with their privacy being in the hands their employers. When employees don’t trust their employers on BYOD issues like privacy, then it’s a sign of bigger trust issues going on throughout the company. A companywide lack of trust will hinder teamwork and negatively affect operations. If your business is looking to gain a competitive edge in your market, then you will need to foster trust within your company to accomplish your goals. Of all the employees surveyed, only 30 percent admitted that they would be happy with their employers managing their mobile devices. In an interesting twist, of the same employees interviewed, 42 percent said that they would be happier if a third-party company managed their mobile devices. Essentially, this means that more employees would prefer their data in the hands of a security company that they’ve never met, rather than their employers. Employers don’t take statistics like these personally. It may have more to do with the network security measures that you’ve taken for your business (or the lack thereof), more so than their loyalty. These numbers show that you need to take an indepth look at your company’s BYOD policy and first take proper security measures before allowing devices in the workplace. Additionally, this survey showed that employees prefer not to give their employers access to their device, or even themselves for that matter, after the work day is done. In their minds, they see the hype of BYOD as nothing more than their employers finding a new way to exploit them after-hours, and they’re not falling for it. 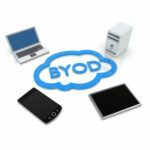 Before implementing BYOD for your business, you need to address these concerns with your staff. If you’ve taken extensive network security measures to protect their personal information, then you need to explain this to them so they will feel safe to connect their devices to your company’s network. You may also want to come to an agreement about asking them to do work after hours using their mobile devices. 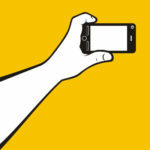 This way, they won’t feel like BYOD is a hidden trap. 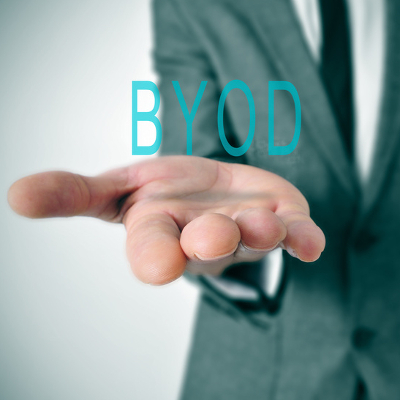 At Quikteks, we understand the intricacies of BYOD and we can help guide your company toward integrating it properly into your IT infrastructure. We’ll work with you to create a BYOD policy which enhances companywide trust, covers security issues, and protects your business from potential liabilities caused by privacy breaches. For assistance with creating a mobile strategy for your business, give us a call at (973) 882-4644. 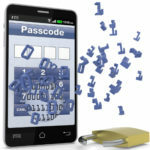 Should Increased Mobile Malware Attacks Deter You from BYOD?